The Optometry Department undertake a range of services for patients to help diagnose, monitor and manage eye conditions. Dispensing – provision of spectacles and specialist frames. Prescription and provision of specialist and therapeutic contact lenses for the conditions of the eye when contact lenses are clinically necessary. Macula assessment clinics – looking at problems with the macula, the area surrounding the central part of the retina, at the back of the eye. Complex biometry – taking measurements of the eye, a procedure usually required before cataract surgery. You will be looked after by one of our optometrists. 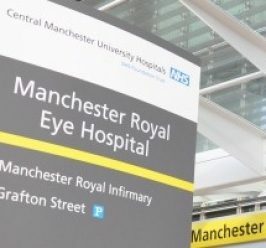 A number of optometrists work within the department centrally at Manchester Royal Eye Hospital and at our sites across Greater Manchester. 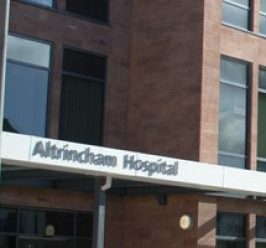 The Optometry department is based at the Manchester Royal Eye Hospital and is located on the ground floor in clinic G.
Some of the services are located in community settings including Withington Community Hospital, Altrincham General Hospital, and the macular treatment units. From the entrance of the Eye Hospital, walk past the main reception and clinic G is on your right hand side.